Holy Infant presents An Evening of Stories and Song with ValLimar Jansen, on Sunday, April 14th at 6:30 pm. Tickets cost $10 for adults and $7 for youth 10 and under, payable by cash or check. Tickets available at the Holy Infant parish office and at the door the night of the event. Contact Francine Britto at 919-973-0007 for more information. The event will be held at Holy Infant Catholic Church, 5000 Southpark Dr., Durham, NC 27713. The City of Durham is planning on water and sewer line improvements to replace outdated infrastructure near the ICC campus beginning sometime this month. While access to the church and school will be maintained, the city estimates the project will affect traffic on both Buchanan Blvd and West Chapel Hill Street for the next 9 months. Please here for more information about this project. St. Padre Pio Prayer Group​ - Join us on the 1st Saturday of each month for the 8 am Mass at St. Joseph Catholic Church in Raleigh. 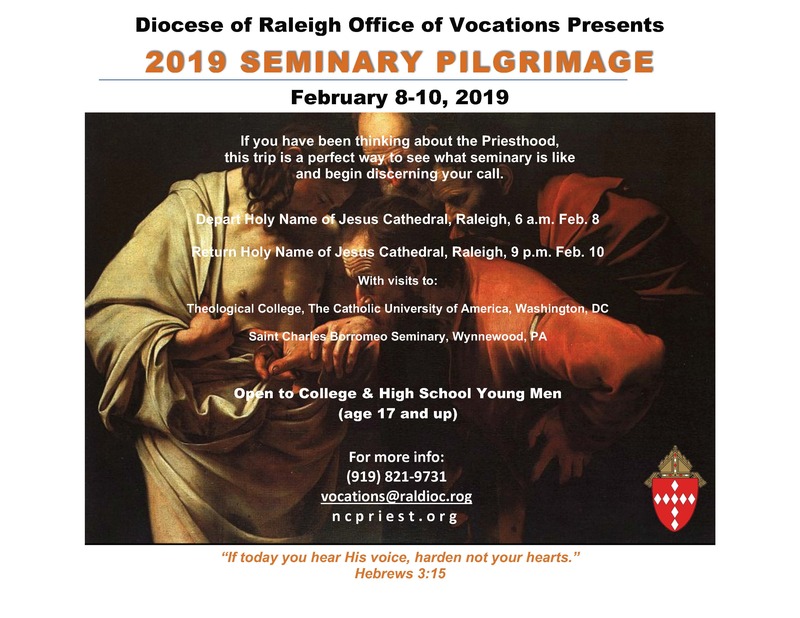 Confessions at 9 am, Rosary and Adoration of the Blessed Sacrament, followed by Benediction.For more information, contact Janette Perez at 919-906-7060. Growing thru Grief offers year-round support for those who have lost a loved one. Meetings are Tuesdays at 4 pm (except for holidays) at St. Paul’s Lutheran Church, 1200 W. Cornwallis.